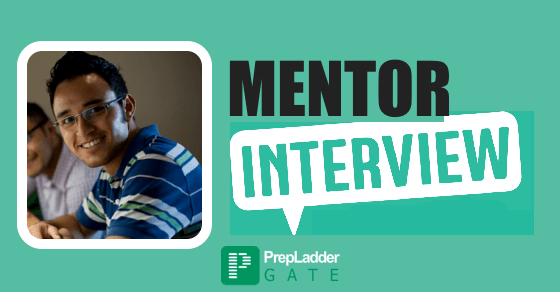 Mr. Vijay Kamal , the personal mentor for Prepladder’s GATE 2017 Guarantee Pack is here with his insights on how to prepare for GATE 2017 and what candidates mostly miss in their GATE preparation. In an exclusive interview, Mr. Vijay Kamal shares his strategy for GATE preparation. Prepladder: Hello Mr.Vijay Kamal Tell us something about yourself? Hello. My name is Vijay Kamall and I have completed M.Tech from NIT Jalandhar. I have been providing GATE coaching from the past 7 years. I am also serving as one of the personal mentor of GATE GUARANTEE PACK By Prepladder. You can check details about mentor Program here. Prepladder: Sir, can you highlight the areas which candidates generally omit in GATE preparation which results in their failure? There are a large number of areas which candidates generally omit in their GATE preparation. One of the grave mistakes committed by the candidates is not referring to standard books. This results in candidates failing to attain conceptual clarity and thereby face difficulties in solving numerical problems. Another mistake is to ‘too’ many sources for preparation. This results in muddled concepts. Candidates often fail in practicing MCQs. Lack of sufficient practice thereby leads to failure in GATE. Candidates are generally accustomed to the pen and paper mode of exam and lack familiarity with the online platform.Consequently, they face difficulty in attempting the exam since they are not aware of how to operate the online platform. Gate previous papers are important but some candidates solely rely on solving previous 10 year papers of GATE. This eventually leads to failure. Some candidates rely on last moment preparation which definitely leads to failure in GATE.Studying only for Last 15 days study will lead to nothing but waste of time. Make your study plan/ Study schedule. If you have 5-6 months left, use them constructively. Candidates often struggle in Time Management while attempting the exam. Consequently, this lowers the overall attempt thereby impacting performance. Students think General aptitude is most section of GATE . So they pay less attention to it which lowers their score. Same is with engineering Maths. Prepladder: Sir , kindly share Preparation Tips for GATE 2017? Well, I am sharing the preparation tips which I preach to my own students as well. First, you must go through the previous year papers and track the difficulty level of exam. Start with the subject you like the most . This will lay down strong foundation for GATE and dont leave General Aptitude for last. Make sure to prepare the concepts from the standard books only. Avoid referring to local authors. You might also refer to video lectures for preparation. Prefer selective study since the syllabus is extensive. Prepare the topics in accordance to their weight age in GATE. Commence with the most important topics and move to the less important ones in the later stage. While preparing a unit, simultaneously practice MCQs based on that unit. This would help you to attain better understanding of topics and expose you to different variants of questions. Attempt online mock tests as much as you can.Attempt Topic-wise and chapter-wise tests while preparing the topic/chapter. This would help you to attain expertise in topics. Further, after completion of syllabus, attempt Full-length tests each day and analyze your performance. Revise all the important topics, tricks and concepts at least two times prior to the exam.Prepare notebook for each subject where you can make notes that will help you better to revise and recall in end days of GATE preparation. Prepladder : What is your message for the aspirants? Prepare with full concentration and focus, never quit and be confident. " There is nothing like i wish . It is always i will ".All the Best!